If you are struggling at work and what you are doing isn’t working, you must accept that you don’t really know what you are doing. 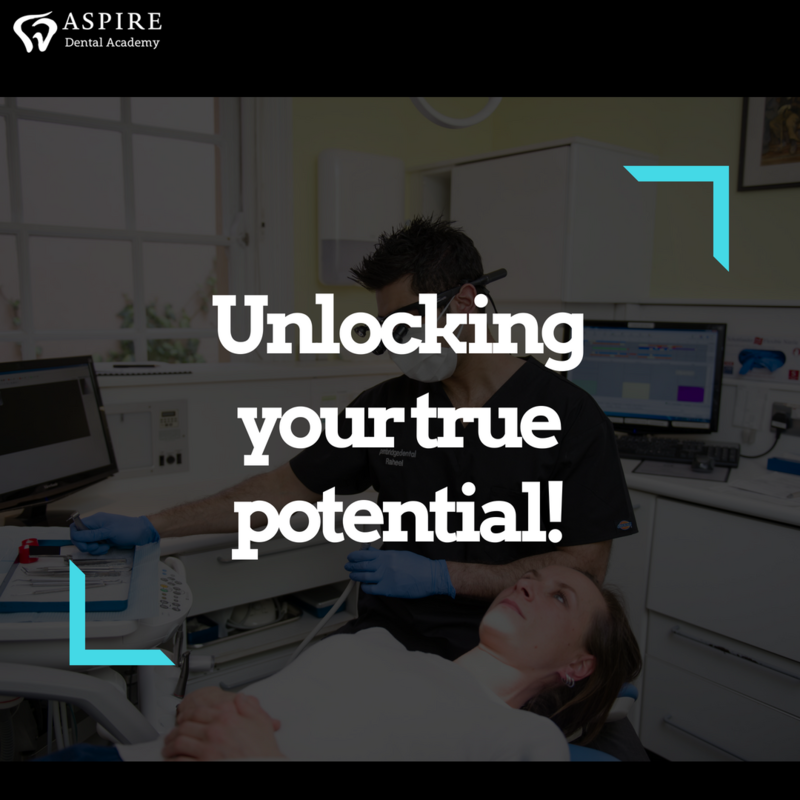 This applies to your endodontics, your preparations, your adhesive bridges, your ability to make patients like and trust you, and almost any other aspect of your professional life. The dentists you admire don’t have magic hands. They have access to the same books, journals and the same equipment we all do. So what have the experts done? Well, they have done something substantial. They have sought out golden opportunities to learn from other experts and invested in themselves. They have applied the well-established principle: that to become an expert yourself, you need to employ purposeful, deliberate practice. Purposeful because it follows a goal via a clear, defined set of plans; deliberate in that it is scrutinised and immediately reviewed by a true expert, with remedies and improvements implemented straightaway; and practice – because that is what we do. This principle obviously requires some adaptation according to the needs of each individual, but it is a proven maxim to help us avoid mistakes. Do you have a true expert role model for your dentistry and for your finances? This is doubly important if you work to earn a living rather than just for fun.My own family was solidly middle class, and my idea of money was that if someone paid you enough, then you’d be rich. Rich meant an hourly wage, so far as I thought. Those who had considerable wealth were a mystery to me. So much so that I couldn’t tell you what my beliefs actually were. Pride made me think they inherited it all, got lucky or just borrowed and spent, either way it meant they had fast cars, big houses and lots of Christmas presents. Consumerism at its finest. Money was something to be spent, or saved up to spend on something specific.Not once was I ever introduced to the idea of “return on investment”, where if you put a certain amount of money into a valuable asset, it will pay you back several times more in the future. I was too inexperienced and naive to know that ‘those wealthy people’ had made themselves highly expert in one or two areas. They had invested in themselves and were reaping a reward. Investments have to give you a return. I have been a delegate on so many postgraduate courses.There has been glitz, glamour and sometimes even a party afterwards. But the next day, in practice, what return did I get? None. It was a waste of time. I now commit to never wasting time. The regret from time-wasting or drifting on the treadmill of daily practice is stressful and depressing. So what return has your BDS given you? Debt, no doubt. But are you clinically ready to deal with the real world, the GDC, the litigious climate, the difficult endo access, the snapped extraction, the lack of rubber dam…? My clarity on education became ever more crystalline when I started teaching what I had learnt through hard endeavour. The delegates needed to learn what would give them a return on their time. When you readily invest in yourself, you swiftly realise how FEW people do invest in themselves,and how FEW educators truly want to help those who want to improve. Sure, those educators want their students to feel good, hence the glamour and glitz, but that is at best a fun distraction from getting the return they deserve. So your BDS is a small key which has now given you some options and opportunities. It is ENTIRELY up to you what happens next. There are so many resources at your fingertips. Google is free. YouTube is free. Libraries are free. Reading is free. Writing is free. Giving every procedure and outcome your complete your undivided attention is free. That said, more intense, guided and scrutinised training is mandatory,as is getting a teacher/coach/instructor – someone to get you past the inevitable plateau that just drifting in and out of daily practice keeps you on. Sure, you’ll make some progress entirely on your own, but you’ll only go so far before you reach a level of incompetency that you’re not fully aware of, and the resulting plateau can stretch, seemingly without end, into the future. Suppose you wanted to become one of the world’s greatest providers of adhesive dentistry –so much so that you get referrals from nearby practices, dentists themselves come to you for their onlays, and the only complaints you get are the waiting times for appointments as you are in such demand. You can truly master something, get to work in an environment that encourages optimal patient-centred outcomes, and you get to do the personally rewarding work of helping people. Your team will grow with you, your nurse will become protective of their exclusive right to work with you, and your work becomes predictable, stress-free and more profitable. This is achievable. But how do you get there? aesthetics, low-to-zero remakes and failures, and self-perpetuating patient referrals via word of mouth. Most dentists may want this ‘prize’, but do nothing to get it. They become frustrated and angry. They may become disillusioned and start to blame others – their principal, an associate, their dental school – but all too often not themselves. They usually look for the quickest fix, the cheapest course, and expect to get mastery straightaway. It flops. It is still amazing to me that when the path to expertise is so well established with countless examples across all fields of human endeavour (music, sport, science, arts, surgery) that people still think they are the exception and can just cut out all the hard work (btw, hard work can be satisfying and fun). They are shocked when they flop. They are shocked their career isn’t turning out how they thought is would. Such practitioners reach an impasse.When their perfect ideas and plans don’t work, they are at a loss as to what to do. They can’t predictably rely on their own abilities and outcomes. This doubt stops them increasing their fees and profit margins. They fall into ‘broke’ mindset. They can go on like this for awhile, and they survive, but over time they become disillusioned. They can’t figure out how this could have possibly happened; they do so much RESEARCH, after all. They READ everything. They utilise all the free resources but they quickly outgrow the plateau this creates. They want more. They want to apply their learning and newly gained skills. They want these skills to work for them and give a return. These skills need to be adaptable and RAZOR SHARP. They research and read, but they measure everything by APPLYING IT. What works, what doesn’t? What gives a return, what does not give a return? This approach is its own filter, because it leads you to distinguishing authentic EXPERTS who have learned by doing, versus pseudo “Science and evidence” people who have studied a great deal, but may know nothing in practical terms or indeed cannot pass their skills on. When you go out of your way to acquire a learning experience where you interact with successful and like-minded people, you will find that your learning curve magically shortens. Do you want to be told or shown? Your expert teacher should be able and willing to demonstrate all their skills, live on demand and with no warning. They should prep teeth with the same level of competence that they brush their teeth. They will show you exactly how to achieve your own expertise. They will not just praise you for the sake of praise but will critically point out your errors and be smart enough to understand how you made an error. They will answer all of your questions and help keep you on the right path. You can then learn and work with other experts. Share ideas and interact socially with like-minded driven people…and, before you know it, your amazing clinical network is up and running. You can work and learn with a team of experts. Ultimately, taking the time to meet experts in real life and personally learn from them serves as an affirmation. It provides you with an ‘inner knowing’ that there are high-minded achievers in the world who think just like you. It destroys the Facebook-forum-created belief that you are alone in the world – a façade of images that lulls you into believing the flashy show-offs have some special talent that you inherently lack. You lack nothing; you just have to become the expert you want to be. Please don’t spend your careers without unlocking your true potential. Your true expert potential is worth more profitable earning than you can imagine.Added to this, you will experience less stress, easier working life patterns and some truly earned self-esteem; there is nothing you can compare that to. Nothing!